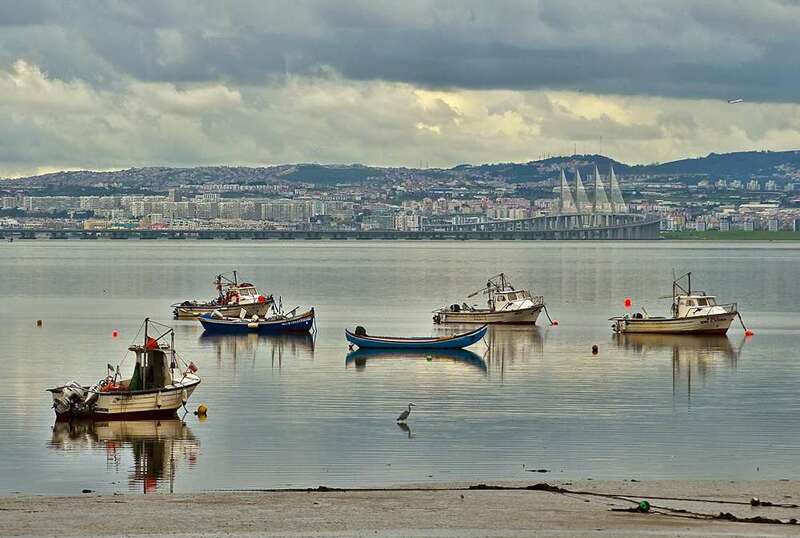 River Tagus (Tejo) estuary as seen from Alcochete facing the city of Lisbon and the 12 kms span "Vasco da Gama". Many fishing boats anchored and a heron waiting for the catch. Beautiful scene well composed, wonderful colors. Александр Ларионов, my regards and thanks! Aleksandr Nagaev, my best regards and thanks! IGOR, best regards my friend!